Singapore maintained its winning streak of Angus Ross Prize. Since the commencement of Angus Ross in 1987, Singapore students have been successful in getting the prize almost every year. Angus Ross Prize is given to the finest performing non-British candidate in the GCE A-Level English Literature examinations. The award is given by Cambridge International Examinations. Last year, two Singapore students won the prize. They are Chang Kay Hou Darrel and Edward Low Jun Qian of the Hwa Chong Institution. Chang Darrel topped the competition while Edward Low is the runner up. Singapore Examinations and Assessment Board (SEAB) announced that the winning student will receive £100 bank draft. Both students will accept a letter of commendation from the prestigious Cambridge International Examinations. Out of more than 11000 entries worldwide, the literary works of two Singapore students were chosen, congratulations to the both of them. 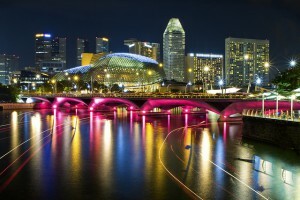 Singapore uses Cambridge International A Level as a state qualification. In America, many schools are utilizing the Cambridge program to further improve their educational standards. In New Zealand, numerous schools decide to use Cambridge International A Levels as a substitute to their local system. Aside from countries mentioned above, it is said that there are more than 100 countries that adhere to Cambridge International A and AS Levels. Any school may use the Cambridge program as a substitute to national, local or state examinations. Countries that consider Cambridge program believe that they can inspire, motivate and stimulate the student’s literary competence. Singapore is proud of their students and their literary works. When the word “decoration” is mentioned, most people immediately think of decorations in the living room, decoration pieces inside the room, kitchen, or somewhere else in the house. Only few people can associate “decorations” with gardens. Many people say that the best and most ideal way to decorate a garden is to plant varieties of flowers and plants. Yes, it’s true, but there’s so much more you can do than just planting flowers. 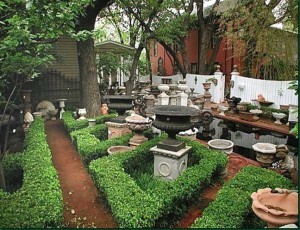 With the right garden decorations, you can turn your plain and simple garden into your own personal paradise. Bird Bath. Bird baths are available in different styles and designs. There are bird baths in modern designs and there are also in traditional designs. Bird baths doesn’t only add beauty to your garden, but it attracts birds as well, thus giving more life to your own personal space. Garden Benches. By adding garden benches, you will have a sanctuary place where you can just sit, relax, and please your eyes with the beauty of your own home. Set the bench in an area where you can have great views of all the beautiful flowers and greeneries of your garden. Pond or Water Fountain. Water has always been very soothing, even the sound and look of flowing water can be very calming. 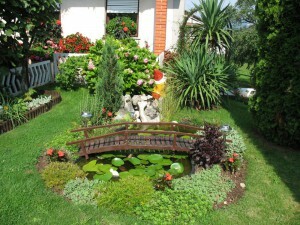 Make your own mini oasis by placing a pond or a water fountain in the middle of your garden. You’ll find your sweet escape every time you come home from a bad and stressful day. Lights. Don’t let the darkness stop you from enjoying the beauty of your garden. There are many different ways to light up your garden at night. The most common way is to place vine lights or string lights on tree branches, walls, and shrubs. 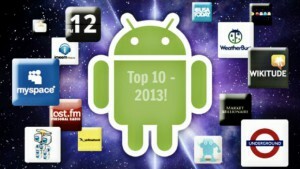 Android has become the most popular mobile phone operating system. With so many smartphone brands supported by Android, the number of applications made to be compatible with it has also seen a large increase. Today, there are more than 700,000 application available in the market, and finding the best ones for your unit can be a bit daunting. Avast! Mobile Security – This free app is a jam-packed of security features, like remote lock and wipe, safe Web browsing, app management, battery manager, and many more. It’s also incredibly light for your phones memory, so you don’t have to worry about the space it eats up. Auto Memory Manager – When your handset feels a little sluggish, it doesn’t mean you need an upgrade right away. An easier solution is simply to manage your phone’s memory. AMM lets you set your memory manager settings – removing the need for task killers – to improve the performance of your phone. History Eraser Pro – This app makes it easier to delete junks off the phone. It lets you manage all sorts of data, from browser history to text messages to cached files, and wipes them all out in one shot. 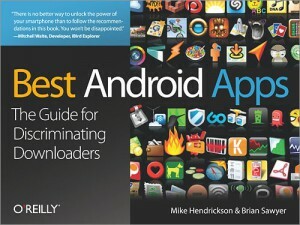 JuiceDefender – One downside of Android units is that it has a shorter battery life. JuiceDefender is a utility app that helps you conserve your battery by disabling draining programs and applications that you’re not really using. Speed Test – Do you have a slow upload and download rate? If it’s a network problem, Speed Test will check it out for you. This app will let you test internet connectivity in less than a minute, displaying results of upload and download speed, connection consistency and other detailed information about your network connection. It’s a great feeling to groove with your friends at the discotheque every once in a while. If you are looking for a perfect place for your next night out, you might want to show those dance moves in these dance clubs. Located in Jiak Kim St, Velvet Underground is a stylish dance club with two rooms, one being the main bar and dance floor and the other being a “chill out” room for more intimate occasions. Usually, majority of the crowd consists of young professionals. 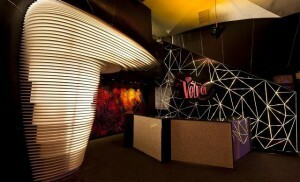 The exclusivity of this dance club can make your night even more fun and worthwhile. Before you and your friends know it, the guy dancing in the corner and the lady sipping a cocktail are celebrities. 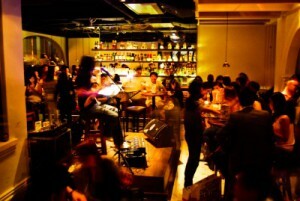 Acid Bar is for those who want a relaxed ambience while listening to good live music. It is the place where you can be with other music lovers who love listening to pop, jazz, and blues. Occasionally, there is also a percussion set to entertain regular customers. What makes Acid Bar more interesting and inviting is its al fresco setting. 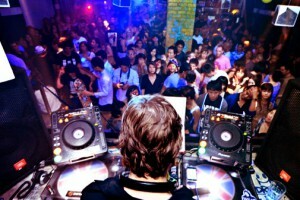 The concept of open air builds on the melodic atmosphere, making it jam-packed every night. Home Club is the perfect place to hang out if you and your buddies want to spend a night in the club while not deviating from the feeling of being in a cosy living room of a friend’s house. This club also supports local music artists, bands, and DJs. Also, local creative artists are encouraged to use the bar’s space and walls as canvass where they can paint their imagination. There are several movie houses in Singapore, and here are some of the bests. Check them out on your next movie trip. 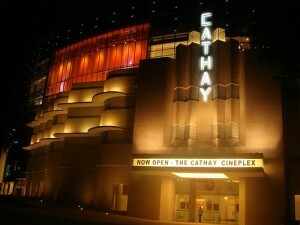 The Cathay Cineplex houses two cinema rooms—The Picturehouse and The Platinum Movie Suites. In The Platinum Movie Lounge, moviegoers can have some snacks while enjoying the free WI-FI access and the complimentary use of iPads. Moviegoers can sit back and relax on the recliner seats made of the finest premium leather. Plus, they can also request for blankets and pillow for a more comfortable viewing experience. 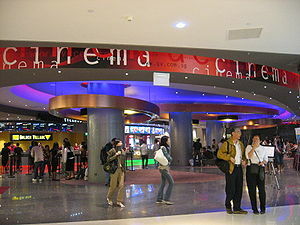 Golden Village Vivocity has three cinema rooms namely Cinema Europa, GV Max, and Gold Class. Cinema Europa features a deluxe stadium seating with 108 seats, a superb screen, and a digital sound theatre system. GV Max, a massive theatre with over 600 seats, prides itself as having one of Asia’s largest screens measuring 22.4 metres. Gold Class provides a “first class airline” experience. Each recliner seat has automatic control buttons on the side. Also, beside the theatre is a private lounge that serves gourmet food, beverage, and wine that complement the luxurious movie experience of every moviegoer. 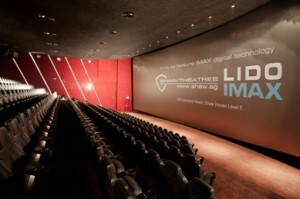 Singapore has embraced the IMAX digital technology since it launched The Shaw Theatre IMAX, the first movie theatre that offers IMAX. Moviegoers now enjoy a movie experience like no other—sitting back and relaxing on a leather seat, watching the movie on an overwhelmingly big screen, and enjoying excellent food and wines. Every movie you watch gives you a new experience and takes you to a whole new dimension. To a moviegoer, the cinema where he or she will be spending hours to watch a certain film has something to do with that new experience and new dimension. Here are some of the best spots in the Lion City where shutterbugs like you can feast your eyes—and camera—on. So get yourself in your street-suave outfit, charge your camera’s batteries, and head out to these following places suggested by professional photographers Mark Teo, Benny Hoh, and Lester Ledesma. Kampong Buangkok – Your photowalking experience can even be greater when you immerse yourself in the rural. Kampong Buangkok is a traditional village you won’t find on a local map. Wooden houses, chickens under banana trees, and other typical scenes of everyday life in the rural areas are what you can highlight in your photographs. Punggol – Landscape photography buffs are sure to enjoy what Punggol has to offer. It is an undeveloped shore where you can see for yourself the simple beauty of nature. You’ll be inspired even more to take photos of it to show to those who are jaded with the city’s skyscrapers. Little India – During your photowalk, don’t miss out on the streets. From here you can take pretty great snapshots of the hustle and bustle of the city. If you’re heading out for a photowalk on a Sunday, you can get inspiration from Little India as this is the day when the area throbs with much activity. Chinatown – If you want to capture Singapore during its old times, Chinatown should be part of your itinerary. There is just a spectrum of fascinating things that you might want to capture through your camera lens. Chinatown is definitely a visual feast—old-style. West Coast Park Beach – Onto the wild with another good destination for photowalks—West Coast Park Beach! You might want to end your long day with a perfect shot of the breathtaking sunset. 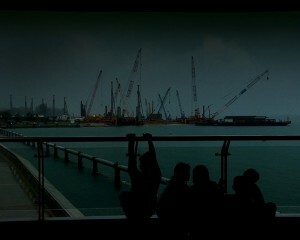 Everything in the surroundings can also make for an enthralling silhouette in your photographs. If you want to experience fine dining in a Peranakan way, head to “The Blue Ginger” restaurant. The moment you enter the place, you’ll be welcomed with Nyonya– inspired ambiance decorated with traditional eye catching ornaments fused with modern artistic paintings all wrapped up in a brown-cream interiors. The 13-year-old restaurant is known for their delectable cuisines that are greatly influenced by peranakan-culture. Feast on their richly flavoured dishes like the Bakwan Kepting, a popular recipe of minced crabmeat and pork moulded into meatballs that goes together with pork broth and bamboo shoots. The meat is carefully cooked to achieve perfect texture and preserve the flavour. 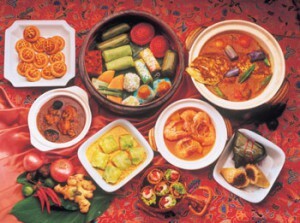 The standard of being a true Peranakan diner is the presence of traditional Peranakan cuisines. Take a bite of The Blue Ginger’s version of Ngo Heong. Their own style of this mainstream Peranakan dish will certainly authenticate their legitimacy as a true blue Peranakan diner. The Ngo Heong is a traditional dish of deep fried prawns and pork rolls flavoured with five-spice powder. The rolls are served with sweet dark soya sauce to add more sophistication to its appetizing aroma and crunchy texture. And to top it all off, treat yourself to an ultimate culinary experience, and savour the scrumptiousness of Blue Ginger’s Ayam Panggang. Ayam Panggang is the restaurant’s speciality dish that has received excellent reviews from both magazine writers and patrons. This dish is a marinated chicken thigh in coconut milk seasoned with exotic spices and grilled over for a succulent and tasty finish. It is indeed one of their sought after dishes that never fail to impress. 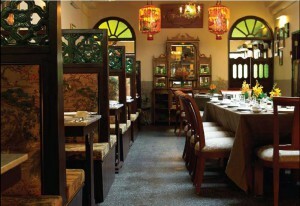 The Blue Ginger restaurant is primarily created to share the unique Peranakan culture to others by serving only the finest dishes that would bring the entire family together.